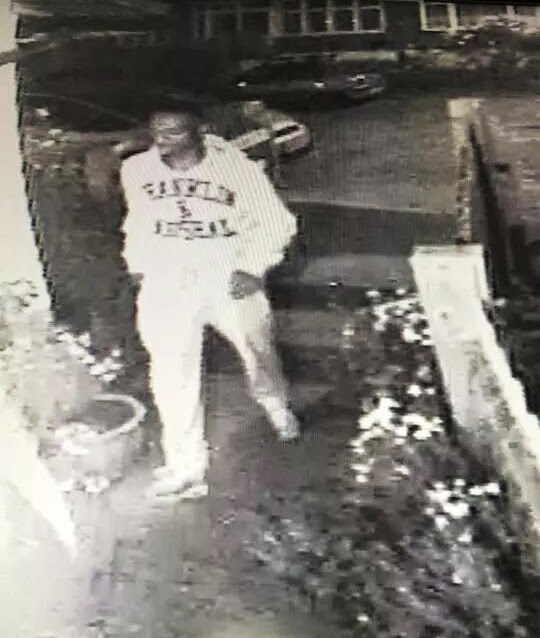 The WORCESTER PARK Blog :: Is This Your Burglar? Police are asking for help identifying a man who burgled a home in Trafalgar Avenue around two weeks ago. This stylish gentleman pictured here on the right (click to enlarge) is someone that police would like to have a chat with in connection with said burglary which happened on Friday 20th June at about 4:00am (while we were all asleep). Whoever it was that broke in stole a charm bracelet and was careless enough to wake the sleeping victims (who were in their 30s) as he tried to nick a mobile phone from right beside their bed. The burglar fled as the man woke up and quickly checked each room to make sure the suspect had left before going outside and spotting him again, chased him to London Road where he unfortunately lost sight of him. Luckily the charm bracelet was found after the couple posted a picture of it on Facebook and a local neighbour found it discarded in the street later the same day. The police think this incident might be linked to an attempted burglary in Dibdin Close, Sutton, earlier the same morning (at around 3:00am) when an intruder fled after triggering the alarm. If you have any information about this man, please contact Sutton Police station on 101 quoting ref no: 4006314/14. Alternatively, you can contact Crimestoppers anonymously on 0800 555 111. Lets hope the police manage to speak with this chap sooner rather than later.